Royal Media Services is home to Citizen TV and some of the best radio stations in Kenya among them Inooro FM, Muuga and Egesa. Here are the Royal Media Services Contacts for those who want to contact the media house’s customer care. Visit the Royal Media Services website through the link. P.O Box 7468-00300 Nairobi, Kenya. would you employ a songwritter? How do people get to know if there is any vacancies in this field??? Do you do investigative journalism? how do i get inooro fm contacts? Am at canon towers Mombasa. Are you opening your office today? I desperately need your services. City centre,where can I advertise? Hey citizen iwas robbed yesterday by agroup of gang in supermarket umoja3 and escaped with and other belongings we had a camera footage, please assist contact 0724635705. 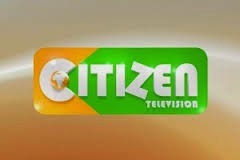 Hello citizen tv,i and my family we are die hard viewers of citizen tv but saddened and very disappointed by the way you air this soap opera called FALL INTO TEMPTATION. Why are you in hurry to ALWAYS end it in ten minutes just to afrosinema. Kindly can you extend or increase the minutes. Thank you.